Dale Amond is Lead Associate on our Part Qualified Accountant team in Dublin. Dale joined Barden as our first Graduate Associate in 2017. He now specialises in working with and advising those who are working towards their accounting qualification. We caught up recently with Dale to find out a little bit more about him. I studied French and Politics in UCD, and then did my MSc International Management in NUI Galway. You spent a year studying in France, what was that like? It was probably one of the most enjoyable years of my life. I spent a year in Lyon in the southeast of France. It was great to be immersed in another culture and language, and the wine and croissants weren’t bad either! I’m very proud of establishing and building the Part Qualified area in Barden. It is a crucial time in people’s careers when they need genuine advice and guidance, and I am proud of the fact that day in, day out, I get to do this. What made you decide to take part in the Barden Graduate Programme? When I finished college, I knew that I wanted to work in a professional environment, but also help people along the way. Recruitment was always on my radar and when I met with the guys in Barden, I knew that it was a good fit. The Graduate Programme allowed me to get broad exposure across the business, and then specialise in a chosen area, which was very appealing. The biggest thing for me was (and still is) the people – it’s all about having a bit of craic too! I work with companies across all industries (SME’s to MNC’s), solely on part qualified accountant and financial analysts’ roles. Take your time. Looking for a new role is a full-time job in itself, and you want to make sure that the next move is the right move with the right experience and the right exposure. The worst thing to do is rush and then regret it. Also, ask for advice. It’s OK not to know about the market, what options are there and how to progress your career – that’s not your day-to-day job. Speak with someone who properly understands what you are doing and, more importantly, what you are looking for long term. I was 14 and it was working in a bar – definitely a great place to learn what hard work is! With 2019 in full swing, as an expert in part qualified accounting careers, what do you think are the key challenges facing employers recruiting at this level? The biggest challenge is simply an undersupply and over demand of part qualified accountants. Many companies are looking at taking on part qualified accountants as a means of succession planning, and this has led to a very buoyant market, which means people have multiple options. Understanding the market and how quick it moves is very important. Also, knowing the type of exposure that people are looking for and experience they require at this stage of their career is key to recruiting at this level. What are the biggest fears or challenges for part qualified accountants thinking of changing roles? What advice, if any, do you have for them? I think the biggest fear is moving mid training contract, or not staying in the one company for the course of your exams. There is a misconception that this is perceived bad by potential employers. However, this isn’t the case. If you can logically explain why you made a move, whether that be to move from audit to a more hands on industry accounting role or to gain broader exposure, then it makes sense to do it. You recently travelled to Australia, what was the highlight of your trip? Definitely doing a skydive in Melbourne – nothing like jumping out of a plane to cure a hangover! Also, having turkey and ham in 40-degree heat is something I won’t forget for a while. And finally, imagine you’re a colour in a crayon box, what colour would you be and why? I’ve been told I always wear blue, so I’ll have to go with that. Are you a part qualified accounting professional looking for help in achieving your ambitions? 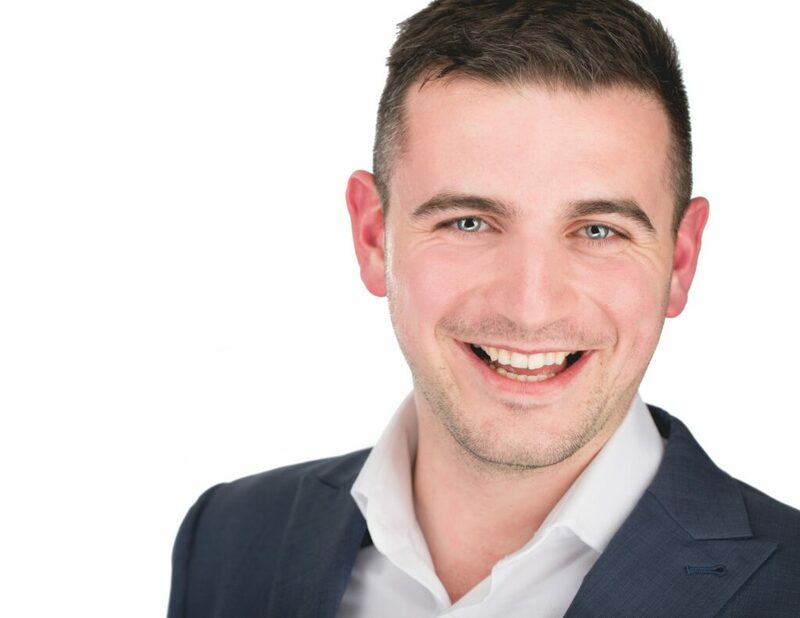 If so get in touch with Dale Amond today who is ready with lots of CV, LinkedIn, interview and career advice along with cutting edge market insights.